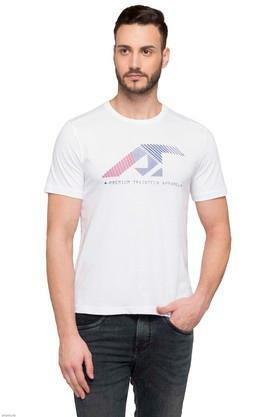 Get creative with your fashion skills by wearing this T-Shirt brought to you by popular brand, Alcis. It comes in a printed pattern, thus giving it a trendy appeal. 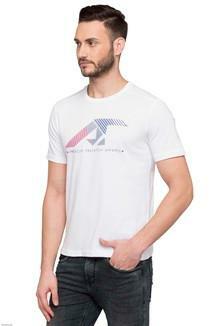 Further, it also features a round neck, which along with short sleeves lends it a smart look. Besides, the use of a good quality fabric keeps you comfortable. 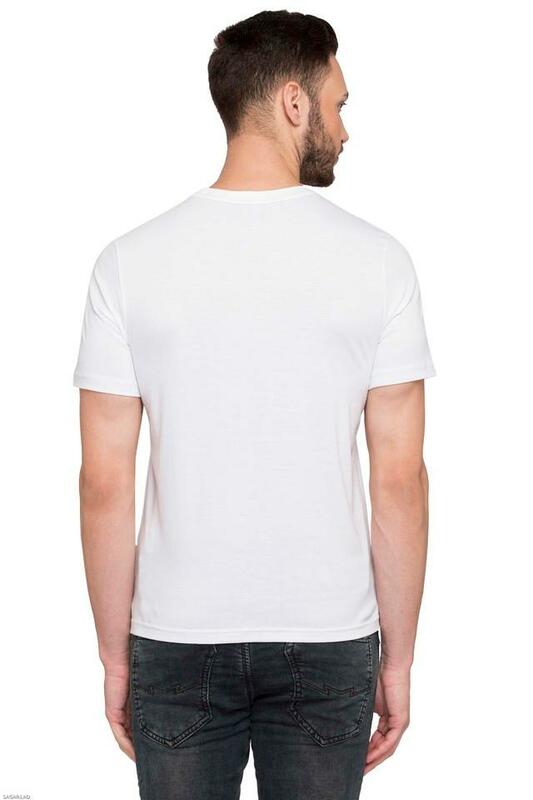 Although simple to look at, this printed T-Shirt will let you make a distinct appearance. 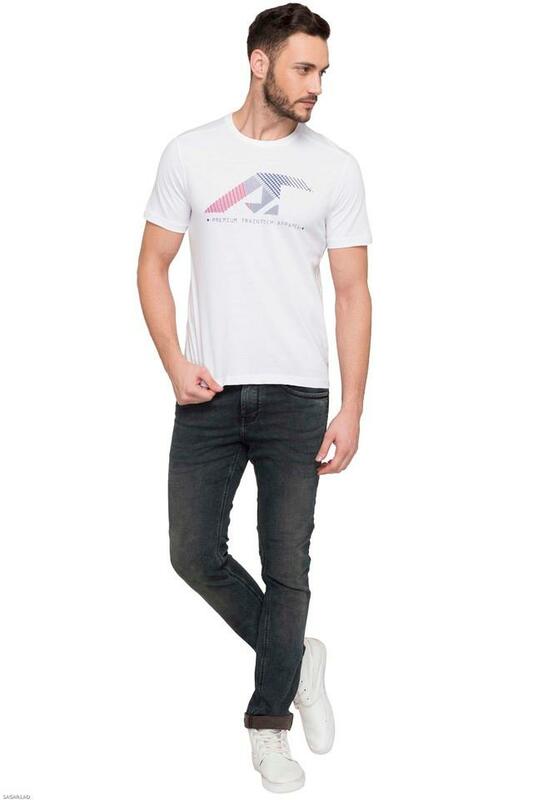 You can team it with a pair of shorts and boat shoes to flaunt your style with confidence.